The Global Engineering Education Exchange (GE3) is an international exchange program for all CoE, CCI, and BMES majors. The program allows Drexel students to study in one of 9 countries overseas, fully immersed into the education, culture and daily life of their host country. This is a fantastic opportunity to make new friends and explore your academic interests from a different perspective. At Tohoku University, students will take part in the Junior Year Program in English (JYPE). Located in Sendai, the largest city in the Tohoku Region with about one million inhabitants, Tohoku University is located about 300 km to the northeast of Tokyo. Sendai, often called the “City of Trees”, is a city known for its pleasant green covered city and streets lined with many trees, and it is also regarded as an “Academic City” with its center on Tohoku University. It is an important economic and cultural center in northern Japan with many universities, government agencies, and corporate branch headquarters. The city is bordered by mountains to the west and the Pacific Ocean to the east. Sendai is regarded as one of the most pleasant Japanese cities to live in. The academic portion for Tohoku focuses on learning Japanese language and culture as well as taking technical classes and an Individual Research Training course taught in English. The individual research project is an integral part of both the study only option and the study + co-op options (see Program Calendar below). Courses listings can be found here. Students considering the study + co-op option must fulfill basic co-op requirements. That is, the work assignment must be 6 months in length, be related to the student's field of study and be a minimum of 20 hours per week. Students will need to work with their Japanese faculty mentor in order to make sure they fulfill these requirements. The student may need to stay beyond the end of the program, until Mid-September in order to fulfill these requirements. Students considering this option must meet with the international co-op manager, prior to be accepted to the program. Tohoku Course Equivalents: This is a list of Tohoku courses that have been approved with Drexel equivalents. If you would like to take courses that are not listed, you will need to get equivalents approved by the appropriate department. 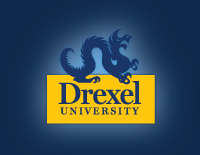 For example, if you want to take a computer science course for Drexel credit, the Computer Science Department at Drexel must pre- approve the course and equivalency. Students are taught by Japanese faculty at their host university. Grades are noted as credit/no credit (CR/NCR) on their transcript and will NOT affect their GPA. In order to receive CR, students must earn a "C" or above. The goal is to be a full-time student at the host institution while also taking the equivalent of a full-time load at Drexel. Option 1: Study Only - available during Tohoku's fall semester. Students leave for Japan in mid-September and will stay in Japan through early February. Students will be scheduled for co-op during winter/spring terms and will need to find their own co-op. Students should consult with their co-op coordinator for assistance. Option 2: Study + Co-op - Students spend 12 months in Japan participating in the study abroad program from September - early August and then will stay on in Japan until mid-September in order to complete their co-op requirements. To complete co-op requirements students will need to work with their Japanese faculty research mentor in order to stay in Japan beyond the official end date of the program. Students will not get academic credit for the resource course during semester 2 as this is part of the co-op requirement. Students should prepare to make adjustments and be flexible in fitting this program into their Drexel schedule. Due to the need for cycle and program changes the Study Abroad Office urges you to begin planning 12-18 months in advance. Tohoku University provides International House as dedicated accommodations for international students and scholars, and University House for both international students and Japanese students. The GE3 program will apply for a dorm room in the Tohoku University International House and University House Sanjo on the students' behalf. However, capacity is limited and on-campus accommodations are not guaranteed. Bedding is typically not included in housing and should be purchased when students arrive. Most dorms have shared facilities, such as kitchens, restrooms, and laundry. In order to enter Japan, it is necessary to obtain a Visa from the overseas Japanese Embassy or Consulate prior to traveling to Japan. Status of Residence is a permit to stay in Japan to study. In order to obtain the Status of Residence, students will be provided a Certificate of Eligibility (COE) by Tohoku University. After the COE arrives, students must go to the nearest Embassy of Japan or Consulate-General of Japan to undergo procedures to obtain a visa. Students should allow about three months of processing time. If the application is submitted late, there is a possibility that the visa will not issued in time and students will have to reschedule their flight at their own cost. For more information, refer to Tohoku's website and the website of your local Japan Embassy or Consulate. Students who receive Federal Pell Grant should apply for the Gilman Scholarship. Awards up to $5,000 for U.S. citizen undergraduate students that receive the Federal Pell Grant. Students going on this program are eligible to apply for the PaCIE and The Asia Institute’s joint scholarship. Awards up to $2,000 to support students seeking to participate in global learning experiences in Asia. Students going on this program are eligible to apply for the Freeman-Asia scholarships. Awards up to $5,000 for U.S. undergraduate students with demonstrated financial need to study abroad in East or Southeast Asia. Students going on this program are eligible to apply for the Bridging Scholarships. Awards up to $2,500 for U.S. citizen undergraduate students on semester-long programs (option 1) or $4,000 for students on academic year programs (option 2).